The IU Student Association Diversity and Inclusion Department is creating a student committee made up of representatives from various cultural and religious centers and student organizations to influence policy and make sure all students have a voice in student government. Eric Gu and Ryan Arick, the heads of the Diversity and Inclusion Department, sought to include all types of students and make policy a more collaborative effort. Gu and Arick reached out to centers like the Neal-Marshall Black Culture Center and GLBT Student Support Services, among others, to send representatives to the committee. They also approached religious student organizations to ensure that everyone’s interests were properly represented. 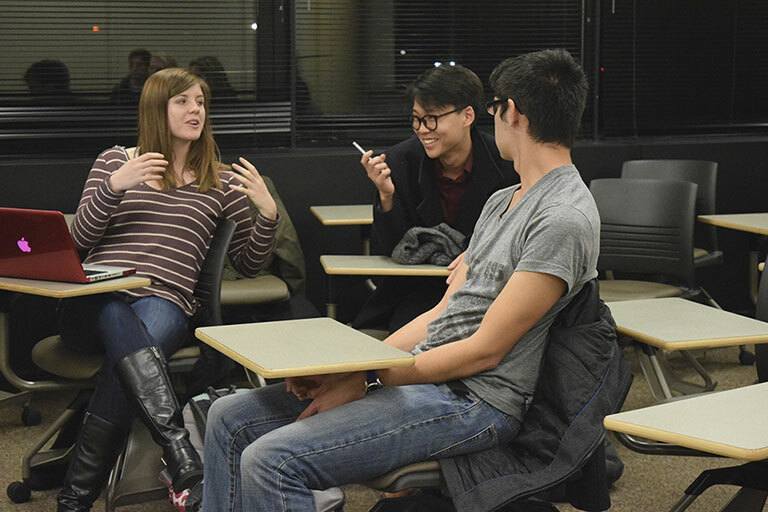 The committee will meet regularly to discuss how to integrate cultural interests into student government. In the past, the Diversity and Inclusion Department worked with cultural centers to bring in speakers. One of the department’s largest goals this year is to have a town hall where all cultural centers can address the administration at once. By having a town hall, cultural centers could bounce ideas for what they need off each other and the administration. “Each cultural center has their own discussion talks, and it would be better if we put everything together so administration would know what everyone needs rather than specific groups,” Gu said. They also want to offer a social justice event during New Student Orientation in order to broaden the cultural horizons of students who may not have previously interacted with minorities or students very different from them. Arick said that having a social justice or diversity aspect of orientation is a good way to reach the whole student body at once. Arick and Gu stressed that the committee did not have a fixed number of members and that anyone who wanted to have their voice heard within student government and bring new suggestions to the table was welcome. Gu said he hopes that creating a space where all students feel welcome and represented will be beneficial to students who may have trouble assimilating to IU’s culture, especially international students. “There’s so many problems that they’re facing but we didn’t know about, and I really want to fill that gap for them,” he said.